Autumn is turning out to be busy so it has been a little quiet here of late- bear with, bear with, bear with... projects are coming and a couple of new free tutorials/patterns will be guesting at other blogs. In the meantime, there is a whole lot of Liberty going on. One of my projects is for the Liberty Lifestyle Craft blog and I can't wait to show you! A sneak peek below- making is still in progress. Meanwhile Katy has done a gorgeous Ruffle Front Clutch for the September project- see here for more! Congrats to Beth- she is over the moon! Thankyou for all the entries, likes, followers and comments. I have a few Liberty projects on the go so more pretties to see in the next few weeks too, and meantime, Ali's shop is here if you just have to have some of your own. The folks at Eternal Maker do like to make life easy for us sewers. 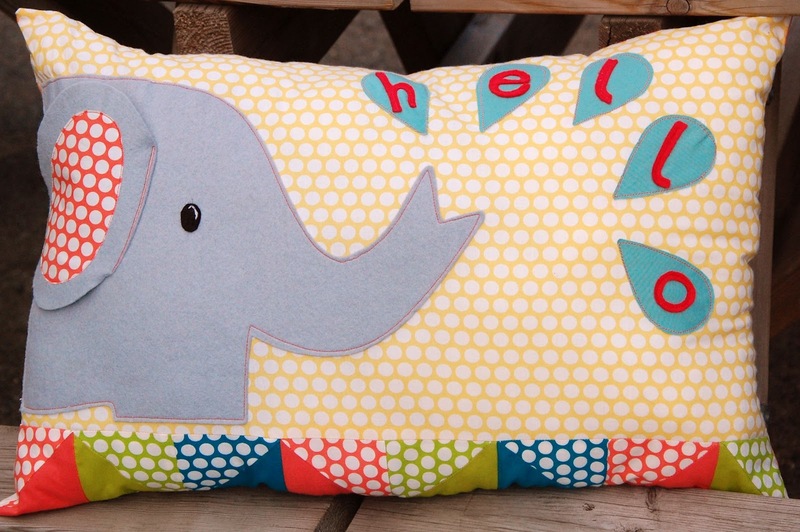 Firstly, they have put together a free pattern to make this lovely elephant pillow. And thirdly they are doing a giveaway- (you need to click that link to enter, you can't enter here!) quick, go! Not many days left on this- right now to win a bundle to make the pillow. 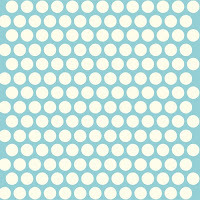 You can also find the other co-ordinating Birch fabrics here . I haven't sewn an inset zipper like this before and I found this easier than putting a zip in a wallet or pouch. The end extends past the opening like her Open Wide Zipper Pouch so there are no lumpy bits to fit into the seam. The pocket is easy to make and is the perfect size to have your phone readily to hand. For the lining I used Essex yarn dyed linen, available at Eternal Maker and Justine is also planning to stock it in her newly acquired shop, Simply Solids. The tape measure print is Japanese linen from Etsy a while ago and the red polka is poplin from a local shop. I used webbing for the strap. I took it to the beach yesterday. The first time I have travelled more than 2 miles in months, with the help of travel tablets and some concentrated starting at the floor rather than out of the window, we successfully managed a short train trip to our local beach for some gorgeous September sun. When we got close enough for me to look out of the window I nearly cried. It has been hard living so close to the sea and not seeing it all summer. Bag in action with feathery Tova (shamelessly inspired by Angela). 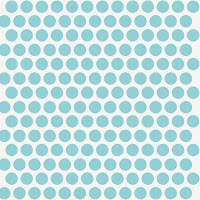 Anna's pattern is on sale here. Very Berry I Love Liberty Giveaway! I have a lovely giveaway treat today! Ali from Very Berry Handmade has a bundle of 20 prints, each measuring 9x12" for one lucky winner. You can see them in the pic below, all folded, ready and waiting! 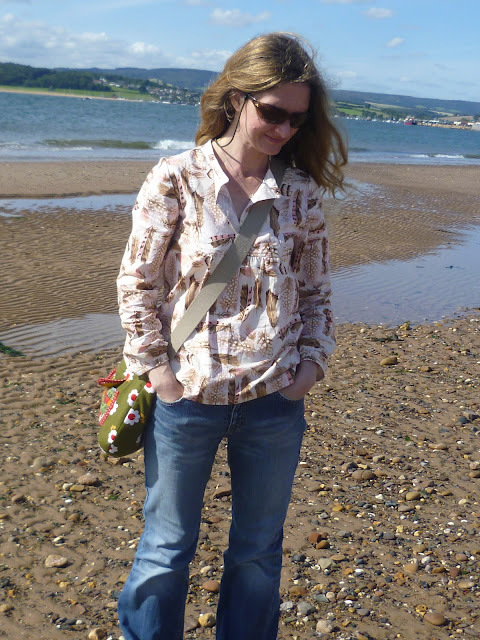 I have known Ali a while now, she is a lovely, generous person with great integrity and she puts a lot of work into her family and her website, so I thought I would find out a little more about her Folksy shop and why she decided to specialise in Liberty lawn. Why did you decide to specialise in Liberty Lawn? I started with Liberty mostly because I am addicted to it myself. I love the colours, the feel of the lawn, how wonderful it is to sew with, and that there's always such a lovely variety and imagination in the style of the prints themselves But I was also prompted by my own frustration that it is so expensive to buy in metre lengths. Quilters and accessories designers (like me!) need lots of small amounts of prints that work together, so I thought, with the aid of my trusty rotary cutter and cutting mat, that I could help a bit with that! I also wanted to start small (and stay!) small, so working with a specific line of fabrics seemed sensible. What are you aiming for with your shop? I aim provide small quantities of Liberty tana lawn to make it more affordable for people who want to buy small amounts of lots of different prints. I put together my own (approx) Fat 16th bundles of prints that I think work together, but buyers also have the opportunity to put together their own bundles. I've only really been in business for a few months and am still building up my stocks, and at present I don't buy fabric in huge quantities because I want to make sure there's lots of variety for regular customers, but if someone needs a larger cut, then they should definitely get in touch to see what I can do. Although I try to ring the changes, there will always be some of my favourite prints (like Mitsi and Sophie's Blossom) and some of the classic prints that people associate with Liberty (like Pelagia and Ianthe) available. In addition to the bundles I also sell patchwork packs of 4" and 5" squares, and try to keep a good variety there too, as well as single pieces of a print, scrap bags and colour bundles. Liberty has global popularity and it can be hard to find in some countries. Do you sell internationally? I do and I also try and ensure that all my customers pay no more than they need to in postage costs, and am happy to put together custom bundles for overseas buyers to make sure that they don't get overcharged by the slightly inflexible Folksy P&P charging system - people just need to contact me via Folksy or via email. On your website there are lots of tutorials and project ideas. Do you have any particularly for using Liberty lawn? 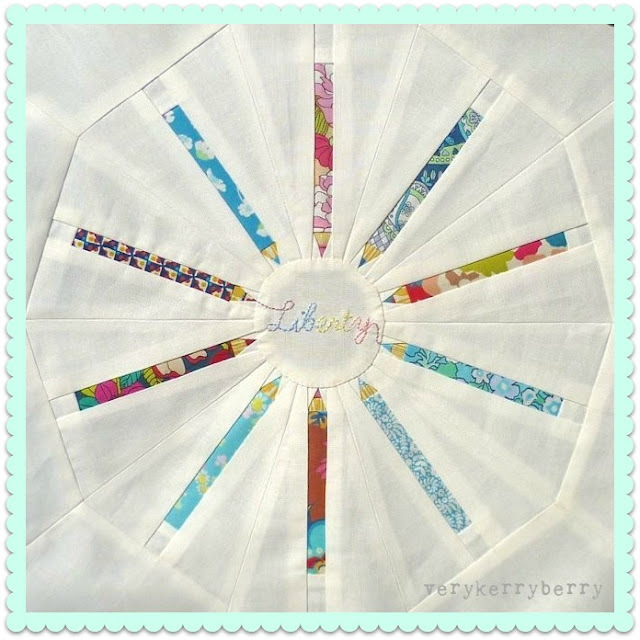 I have collected many ideas for Liberty on a Liberty Inspiration Pinterest board as an easy place to keep them all stored and many of the tutorials on Very Berry Handmade work well with Liberty lawns. 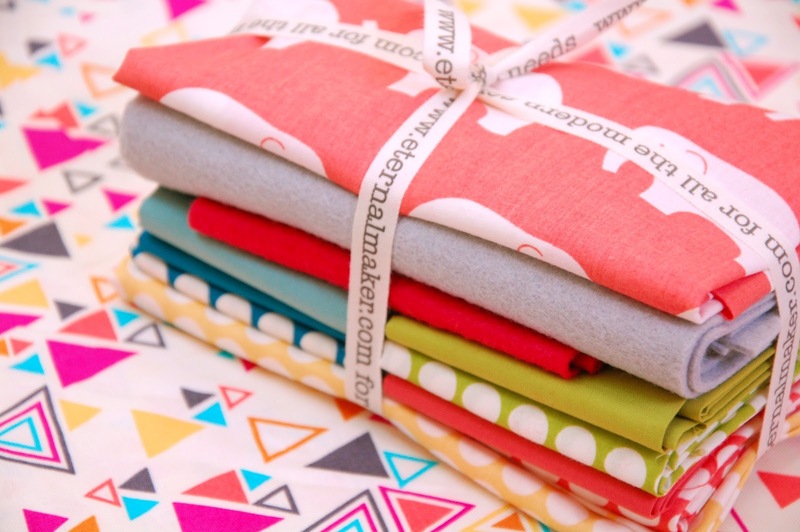 What are you enjoying about running your Folksy Fabric Shop? 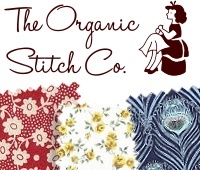 The biggest bonus is thatI get to work with loads of Liberty fabrics myself, there are always plenty to hand! 1. Leave a comment saying what you like to make using Liberty- attach a link if you like, it can get added to Ali's Pinterest board! 3. Have an extra entry if you follow me! A possible 3 entries are available. Good luck, it is the most fabulous bundle to win! And if you really can't wait you can buy single pieces of the prints from only £1.40 (my fav, Poppy and Daisy) in Ali's shop- cheaper than a takeout coffee and a lot longer lasting. I took the plunge recently and enrolled in a Craftsy class: Sassy Librarian Blouse with Christine Haynes was on offer, I liked the pattern and I was curious to how an online class would work. I have a lot of clothes making experience but behind the scenes and in the comfort of the back room, I have slip-shod ways and I love to pick up new tips. I could not believe how much I learnt. I can liken the process to driving. You may have driven a long time but a little refresher lesson does eveyone good and this is exactly how I found this class. There are hours of carefully filmed footage. There are closeups in all the tricky bits and much of the sewing or pressing is in real time. You can return to a particular section as many times as you wish. Christine is an excellent and thorough teacher, I felt like I was in the safest pair of hands. She is also methodical ( I am not) and she really kept me in check. I was introduced to the delights of a Clover water soluble pencil- my new dressmaking friend- and extra attention was spent to using a seam gauge. 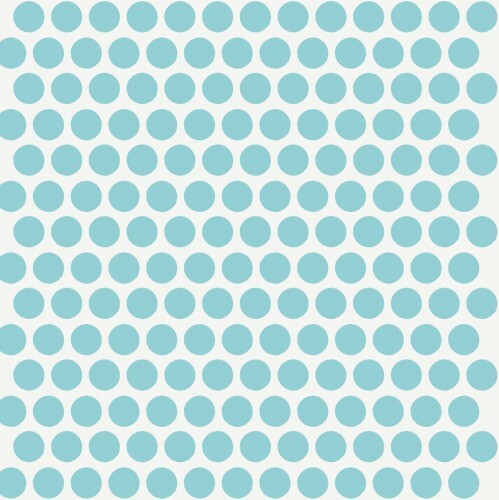 This is a mix and match pattern. The simplest version is sleeveless, with no collar and no tucks and would be a great project for someone fairly new to dress making. I was greedy and incorporated every feature: bow, tab, collar, tucks. The sizing is generous. I didn't make a muslin but I did have to unpick my first initial version and move down two sizes. This was size 0, for UK peeps I am usually a small size 10. Even at 0 the bust was roomy and on my next one I will stop being a lazy arse and move the dart- pattern adjustments are my least favourite job. This is a relatively easy thing to do and the rest of the blouse fits beautifully. there are 'release pleats' around the waist front and back ( first time I have sewn anything with these) and they add great definition. The sleeves also fitted perfectly which is not an easy thing to get right with tops. I cannot recommend this class more highly, Christine encourages you to take your time and it is worth it, i have never sewn clothing quite so neatly! I think classes like this will be a big part of online sewing, I have already bought more- Angela's Machine Quilting Negative Space class and Meg McElwee's sewing with knits class which includes a zillion jersey basic patterns. It has been a very happy purchase! I got behind with Bee Blocks over the summer so I am trying to do a little catch up. First for Leila, her theme in Cocorico was 'A woman's Work'. I had a lovely pattern by Kumiko Fujita that came from a Japanese magazine- possibly Patchwork Tsuchin. The stove and the casserole seemed a good fit for her theme. Leila asked for either blocks 6 1/2" square or any size- this is a bit of both, 6 1/2 x 7 1/2". I slightly misjudged the right side of the black strip but by the time I realised it was already cut and sewn. In Ringo Pie, many months ago, Tamiko asked for blocks on a Magnum PI theme, an imaginative idea and one that is producing some great work and a strong sense of humour. This block started off with a free paper piecing Hawaiian Shirt pattern by Linda Worland at Paper Panache. I did a little tweaking- added the back collar, added a Y seam and used freezer paper template method rather than sewing through paper. I made the pocket as I would a real one and the same with the collar pieces. The trunks owe a debt to Penny and the pants/undies she made for Monica in the Travelling Quilts bee. I drew out the shape, the stripes were pieced first, then the shape was cut out and the strips are bias pieces of white fabric. After extensive research of Tom Selleck in trunks, these seemed to be the most distinctive for Magnum PI. This block cracks me up. If I could have pieced a tiny moustache and sunnies, I would have! There are a lot of new fabric ranges flying around at the moment and wanting to buy at least some bits whilst also turning around and looking at drawers and boxes already piles up with FQs and half yards and thinking of my bank balance leaves me in a bit of a conundrum. Stash clubs are one answer. They provide a regular fix of new fabric designs, a feeling you are up to date, and the pieces are small and easy to store. Australian store Amitie stock fabrics I never see anywhere else, especially Yuwa prints which makes their stash parcel extra special. 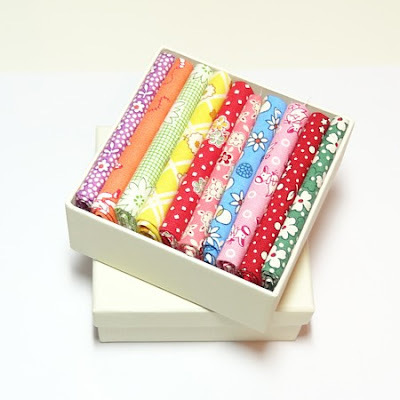 The Amitie stash club sends out 16 new release designs every two months, each is a 25cm square of fabric. You can cancel at any time and their selection is an utter treat for the eyes. They send a block pattern with each package as a bonus. Their fabrics always seem to combine together and you could easily make a few blocks each month, keep adding in the new fabrics and end up with an amazing scrappy quilt. Cost is $25 AUD for Aussies and $28 international including postage- works out around £18. Each contains enough fabric to make a mini quilt approx 24 x 32" with a free beginner friendly pattern included. Each piece of fabric measures 9 x 11"and you can choose an Aneela Hoey print option, shot cottons... the list goes on. They would make a lovely gift at £12.95 + postage. Apologies for the temptation but it is on a budget so I think I can be excused! It is new pattern tine at Sew-Ichigo, welcome to 'Back to School', a multi pattern set including a basic pencil block, a pencil wheel and a hi- lighter pen with two variations. 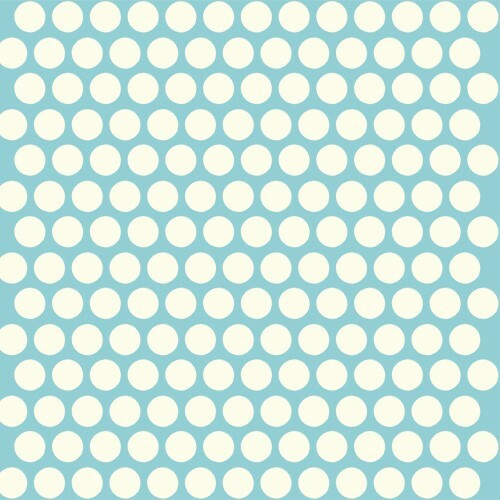 This pattern started with the hi lighters. Penny designed them as a block for Elizabeth Hartman for her 'Traveling Quilts' Bee which is full of uber quilty brilliant people. I never drew it up into a proper pattern and now felt like the time. I tightened it up from my slovenly improv ways of winging it and turned it into a Dresden style wheel with an appliqué style centre. It is foundation paper pieced, 12" finished size and made up of 10 single sections so the paper piecing is very straightforward- the only seams to join are when you join the wedges together. I used Liberty Lifestyle Bloomsbury fabrics for the pencils and it shows how a little print can go a long way! For the more timid paper pieces who want a genuine beginner block, the solo pencil is perfect. This has a single pattern piece and detailed instructions including what size of fabrics to rotary cut ready to piece and a cheats way to so pencil tips. Penny and I put a lot of details into our patterns and share tips and construction details wherever possible. 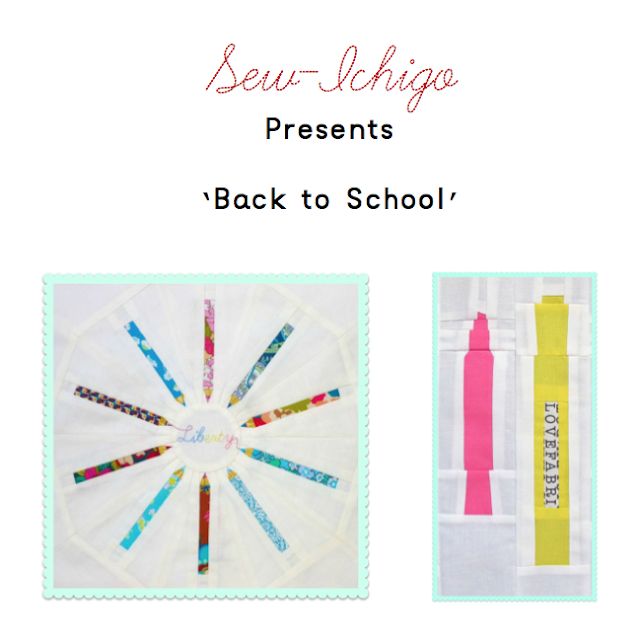 The pencil case pattern is available for free at A Spoonful of Sugar Designs and I just pieced a single solo pencil block into the main fabric. I will share more details on Sew-Ichigo in case anyone wanted to make one just the same. The lace zip makes adding a zipper the easiest thing. It is sewn on top of the finished seams which is such a simple way to add a zip and the metal zipper pull is perfect for a pencil case. I bought mine at Eternal Maker here. Penny combined both of the easiest blocks- the solo pencil and the capped hi-liter pen and used the same pencil case pattern but jazzed it around moving the zipper placement. You can use text or stamp your fabric for the pen centre or just leave it solid as a block. There is an uncapped pen too with a chiseled tip like you can see in her travelling quilts block. All these patterns are available complete set in our Sew-Ichigo shop and our Craftsy store too! I mentioned sharing some piecing tips from my Summer Medallion quilt (original pattern by Brigitte Giblin). The centre star and curved scallops were all English paper pieced. The star was a little tricky as it has a mix of slightly curved and straight edges. These were joined stitching from corner to corner following Brigitte's construction order diagrams. I prepped my paper pieces using Sewline glue stick- see here. I needed to snip the bottom inner curve a little to give it room to stick down. I did the same on the inner curves on the clam shells. There was a trio of 2 clam shells and one shield shape for each section. Here they are all pinned together in their groups of 3- paper clips are very useful for English paper piecing. The outer scallops needed something extra than just hand sewing from point to point. I tried this and I couldn't get the inner and outer curves to fit, one was always ending way out of line with the other. I ended up stitching the top and bottom points of each curve I was piecing and then sewing the seam in between. It sounds faffy but it saved a lot of time in the end as accuracy is really important in Engish Paper Piecing.